Download MobaXterm at https://software.lehigh.edu and follow the installation instructions found on that page. 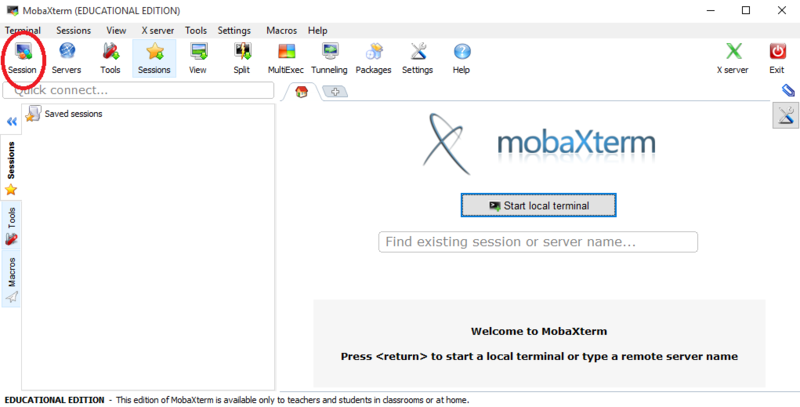 Open MobaXterm and click the Session button. For the Remote host field enter, ssh.lehigh.edu. Then click the OK button at the bottom of the page. An SSH window will open prompting you to login as:. Enter your username at the prompt and press the Enter key on your keyboard. Next, you will be prompted for your Lehigh password--enter it and press the Enter key on your keyboard. Note: while entering your password you will not see your password; asterisks or dots will appear as you type. You are now logged in. The panel on the left (white background in the image at right) shows the files and directories, and can be used for drag-and-drop file transfers (upload or download). 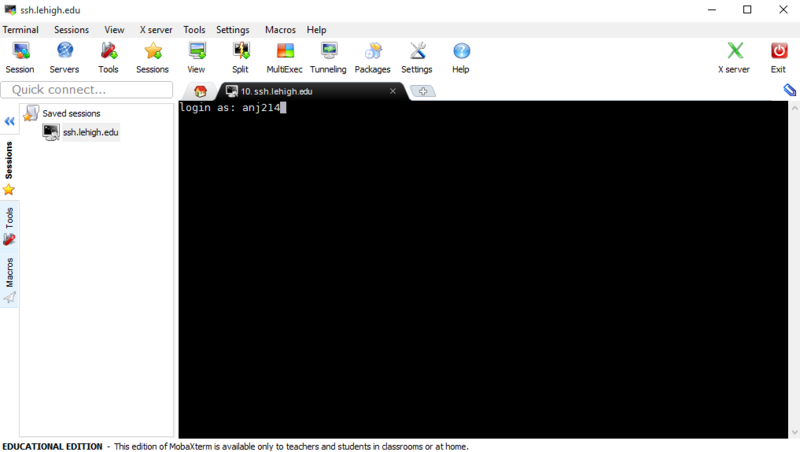 The panel on the right (black background) is a terminal session, which can be used to enter commands.